will wait til they get leaves before I water again. When do I fertilize them? 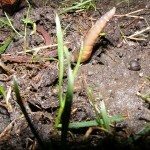 Worm castings, on their own, are not a fertilizer. They are an amendment to loosen up compacted soils, and improve texture. 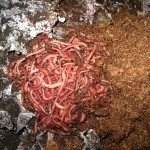 I love keeping worm castings around and wouldn't imagine getting a refund. They are very useful, though they are not a fertilizer.